Dr. Brenda Bell is a radiologist from Bessemer, Alabama. She has an overall experience of more than three decades in the medical field. Dr. Bell has graduated from the medical school of the University of Alabama. Afterward, she continued with a residency in radiology at Baptist Health System. She is board certified in radiology and diagnostic radiology. 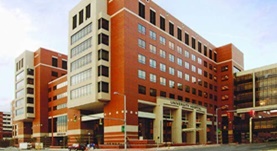 Mrs. Bell currently practices at the UAB Hospital.